It was a long road getting here. 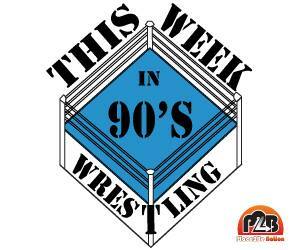 In 2010, I started watching wrestling promotions all over the world in chronological order, spanning the years 1990 – 1999. I was interested in immersing myself in the time period, getting a sense of what was good and bad, what was fresh and stale, and seeing how my takeaways may differ from those who followed everything in real time. As expected, there was both agreement and disagreement with the most common opinions espoused during the time period. This countdown is the result of my watching over 3500 matches that spanned over 1200 hours in duration. After nearly five years of viewing, I have isolated what I consider the cream of the crop — the 500 most essential matches that were recorded and to which we have access. I have also linked to the thread dedicated to each match at ProWrestlingOnly.com, where other posters and I provided thoughts in real-time (I’m Loss – @prowresonly on Twitter). 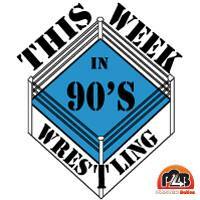 My hope in sharing this is that you find a treasure trove of wrestling that you have not seen to watch and enjoy. I’ve taken a shot at some sacred cows and expect to get bludgeoned for a few of the choices, but that’s par the course and even part of the fun of list-making. I might even look back on some of these rankings and disagree with myself at some point, but that’s the joy of being a pro wrestling fan — matches are not “old” or “new”, they are “viewed” or “not viewed”, and our perceptions are very much alive and breathing. (Editor’s note: Charles is tweeting out links to the matches online, as well as other discussion @prowresonly. The spirit of this list is to expose others to new promotions, wrestlers, or matches they may not be familiar with. He’ll also be providing a written recap with more of his ranking process once the list release is finished). Charles is just a wrestling fan who likes talking about wrestling with other fans. He is the owner and admin of ProWrestlingOnly.com and posts there under the name Loss. You can register for an account there by sending an email to pwomembership@gmail.com, and you can also follow him on Twitter at @prowresonly.